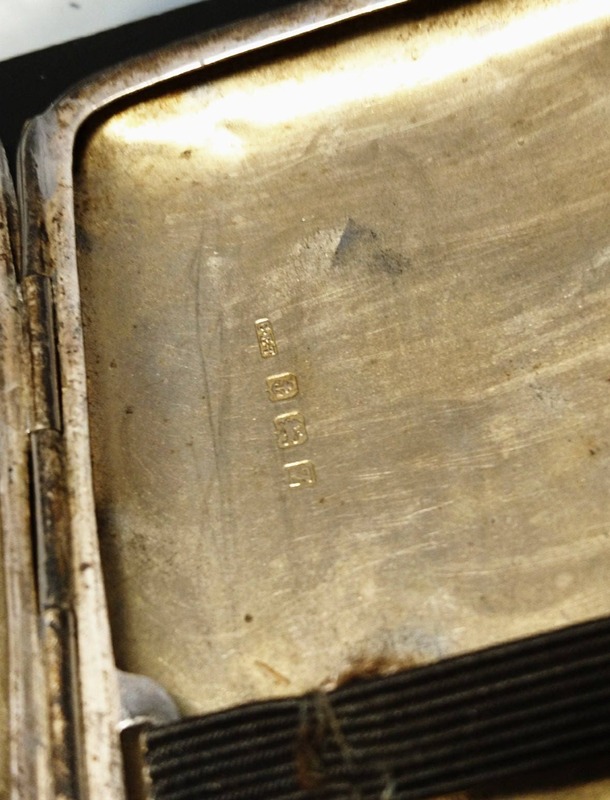 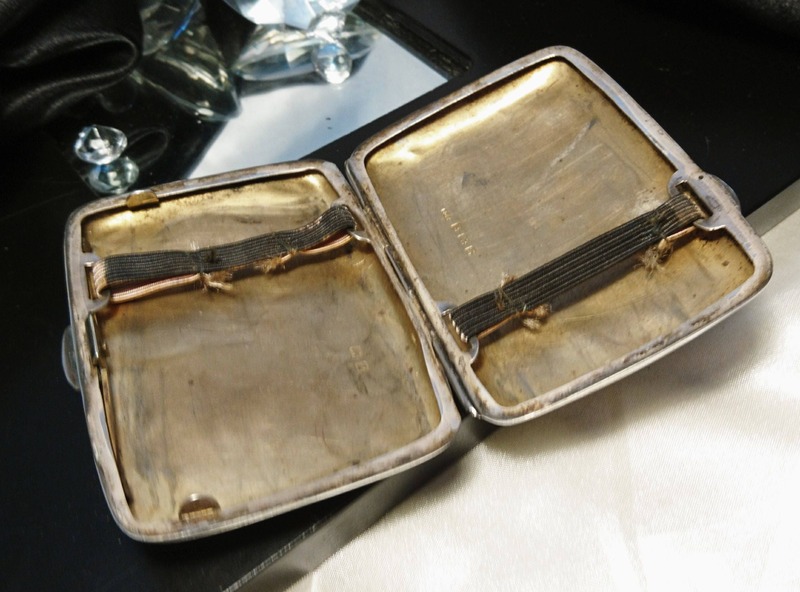 A sterling silver cigarette case with a gilt lining, fully hallmarked for Birmingham 1924 C.E.T (Charles Edwin Turner). 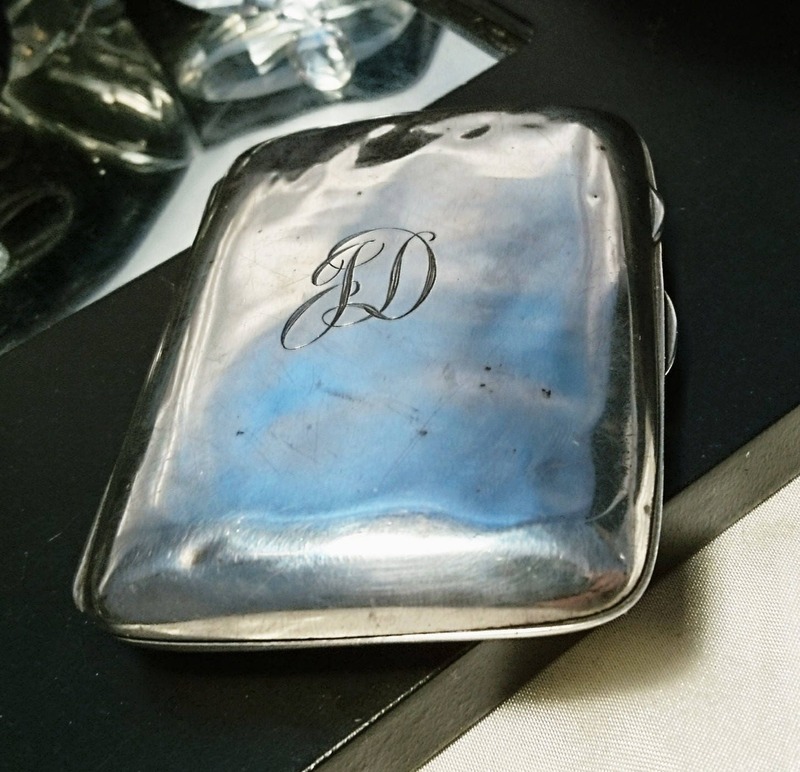 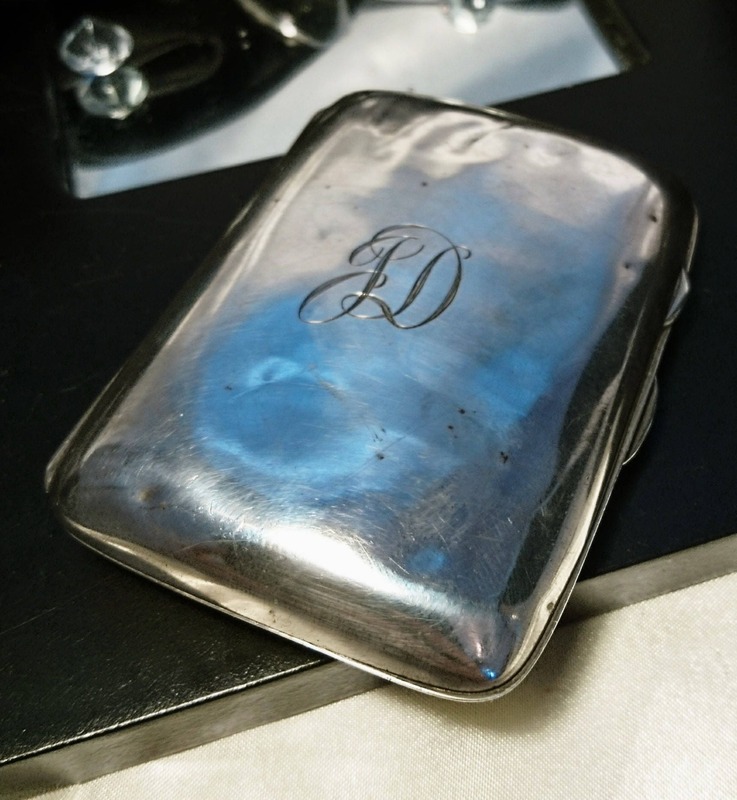 This lovely cigarette case has a domed top with the initials J D on the top of the case. 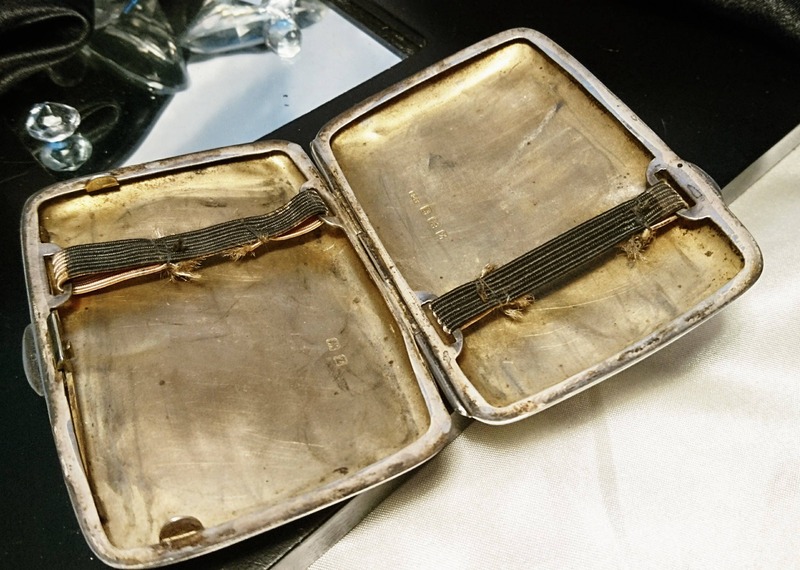 Internally it is gilt lined with two elastic straps either side to hold the ciggies in place, the hallmarks can be found on the inside of the case. 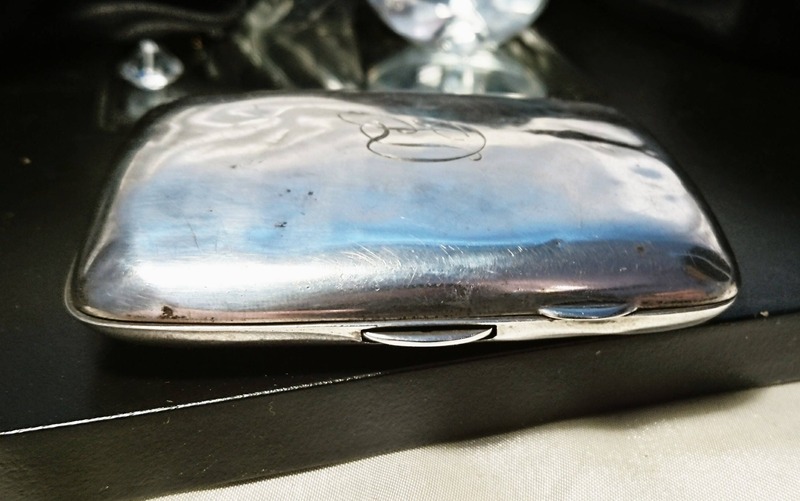 The case has a fair few dents on it and has been well used, for 93 years old it is still in good condition and is completely usable, it adds more character to the piece. 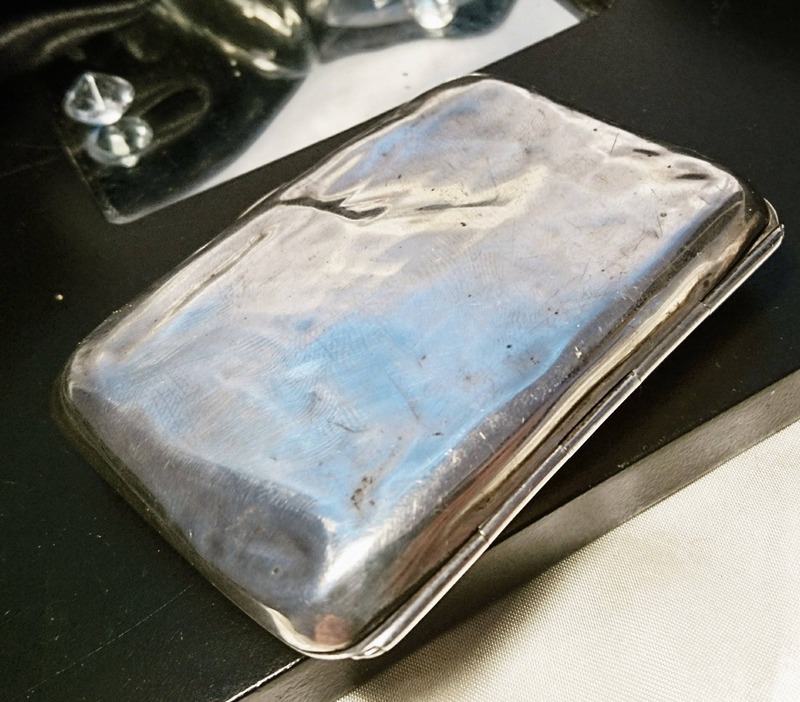 A good solid piece of silver with a decent weight to it.